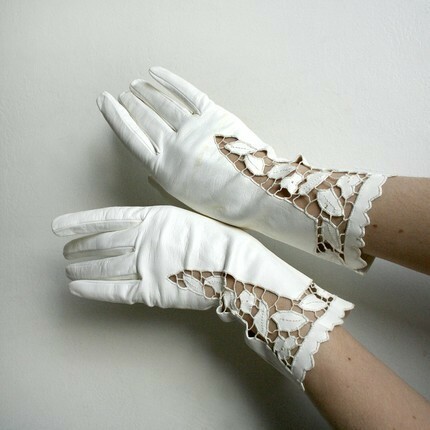 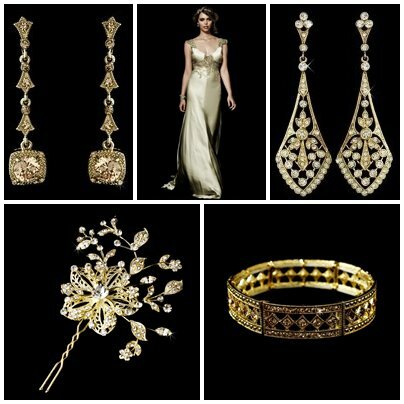 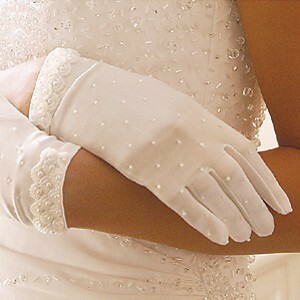 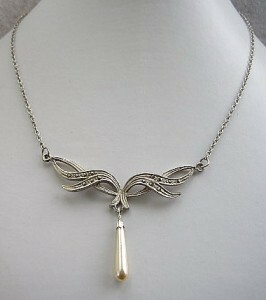 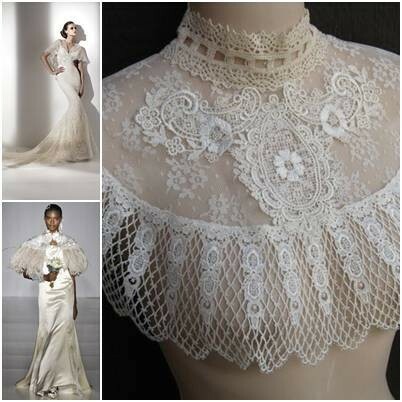 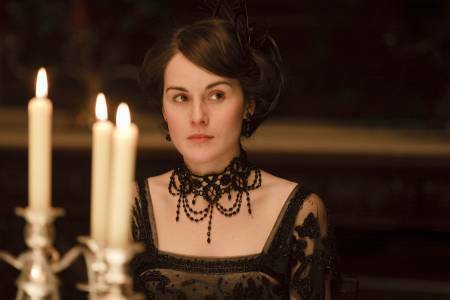 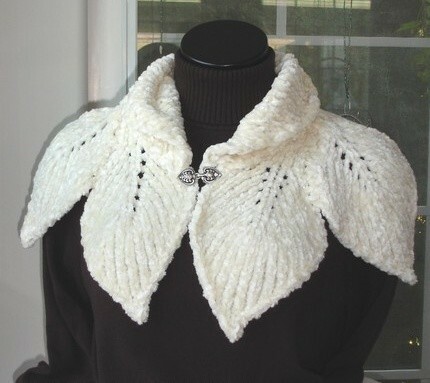 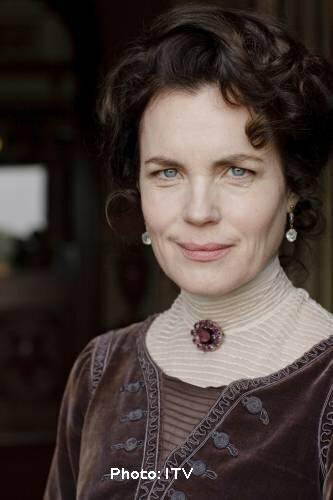 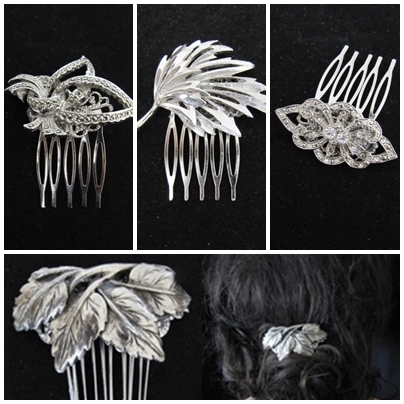 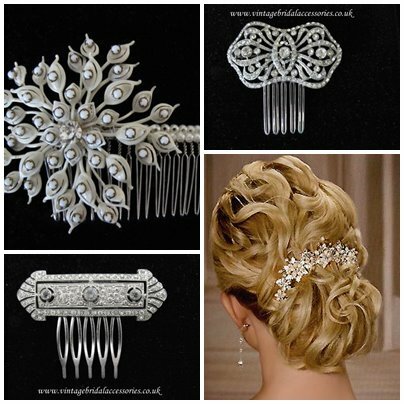 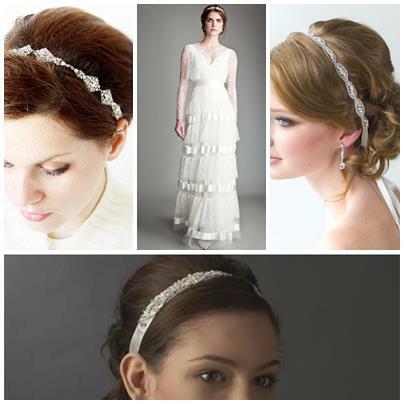 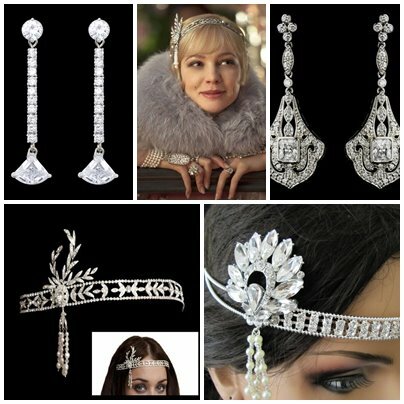 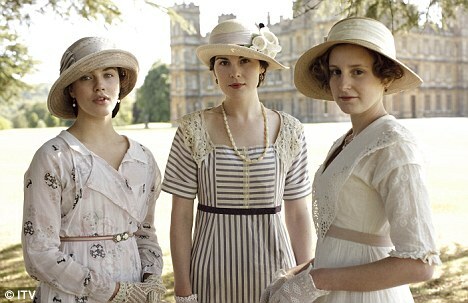 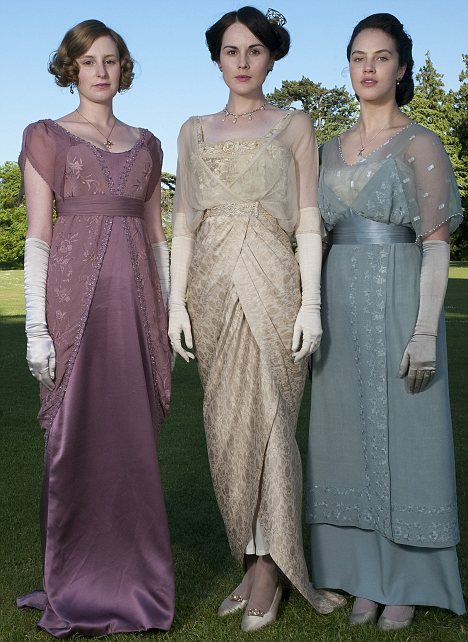 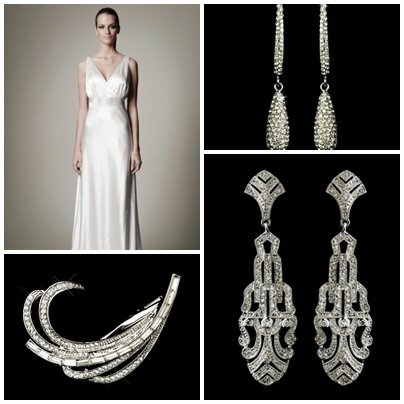 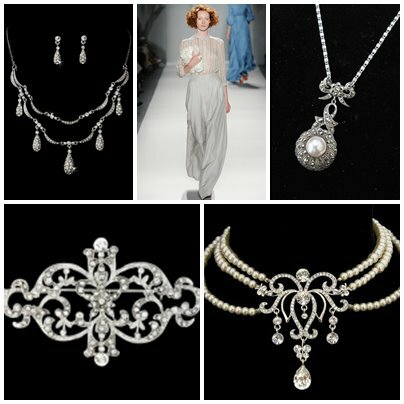 Thanks to the rip-roaring success of the British costume drama, Downton Abbey, Edwardian and Art Deco accessories are truly in vogue again for brides-to-be in 2012! 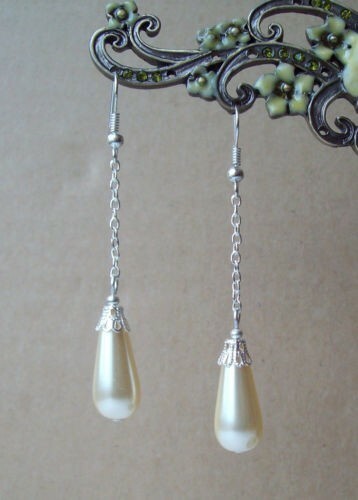 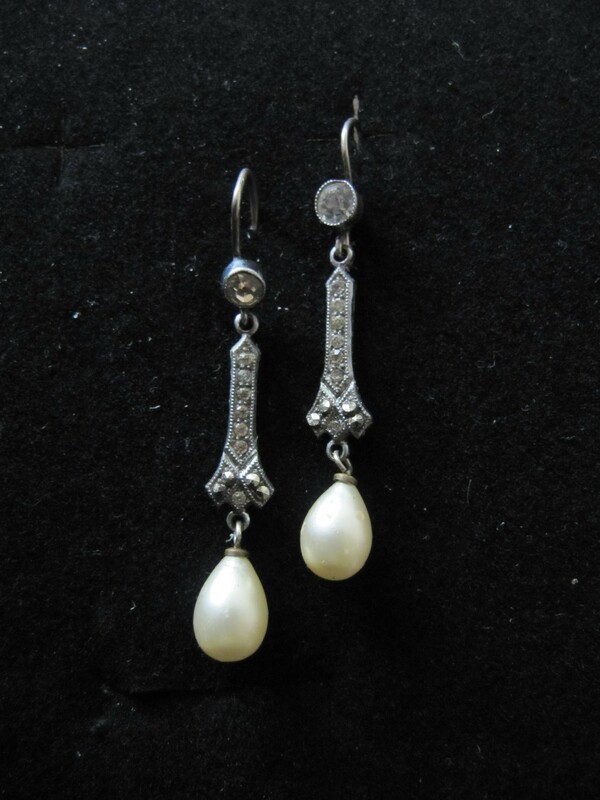 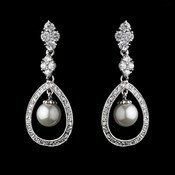 Teamed with delicate pearl earrings for that touch of sensuality………. 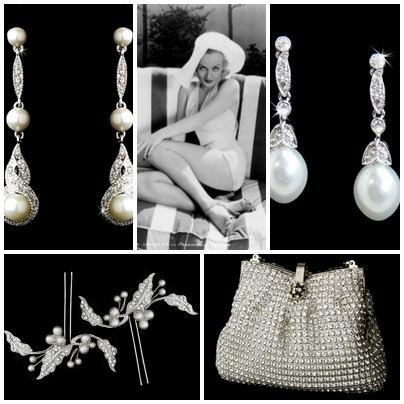 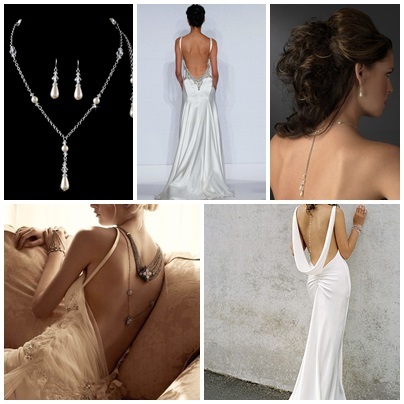 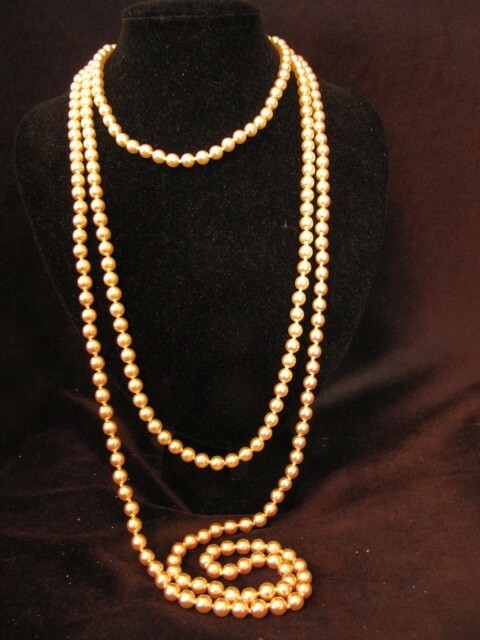 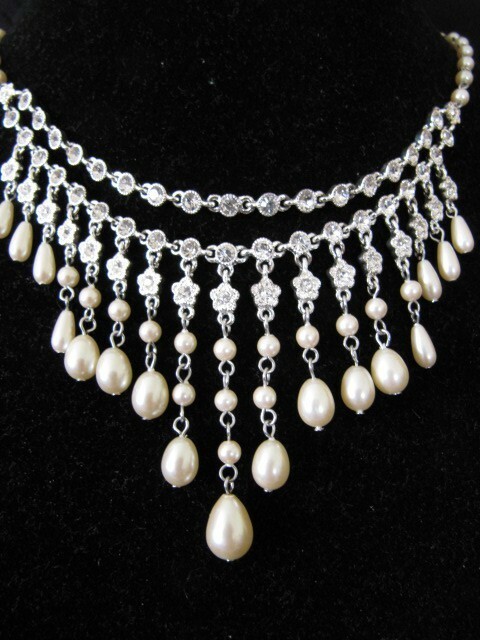 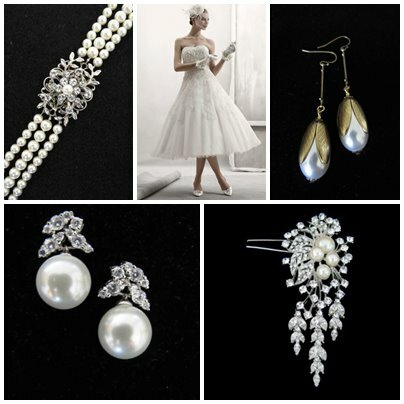 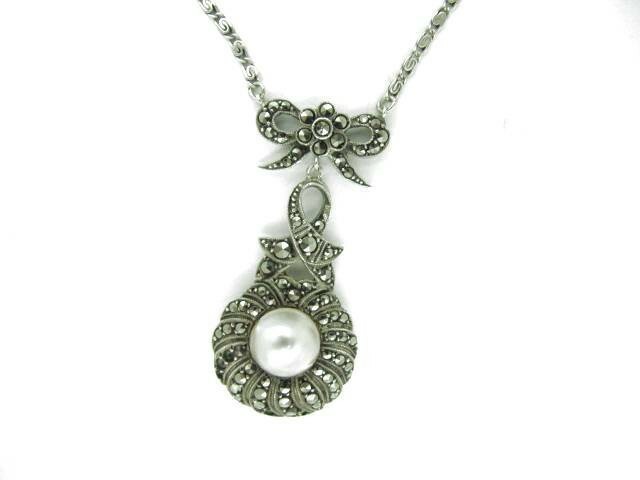 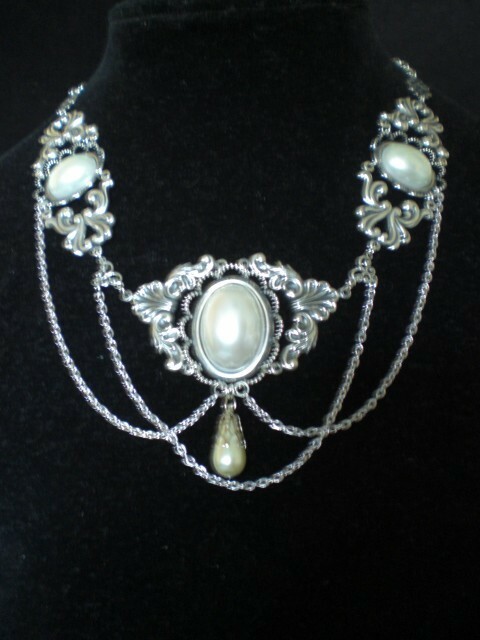 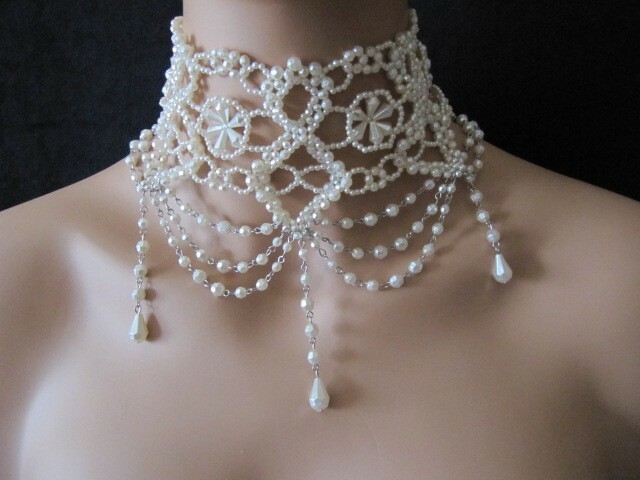 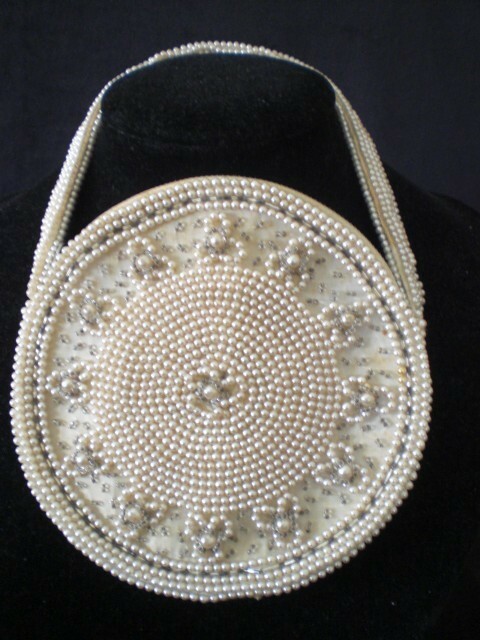 Accessories such as wraps, gloves and dainty handbags are a much a nod towards the modesty of turn of the Century fashions as they are practical nice-to-haves for a winter wedding…………..
Delicate pearl necklaces as well as the ubiquitous ‘flapper style’ long pearl strands have always been popular choices for wedding jewellery but have enjoyed a resurgence with the general Art Deco wedding trends. 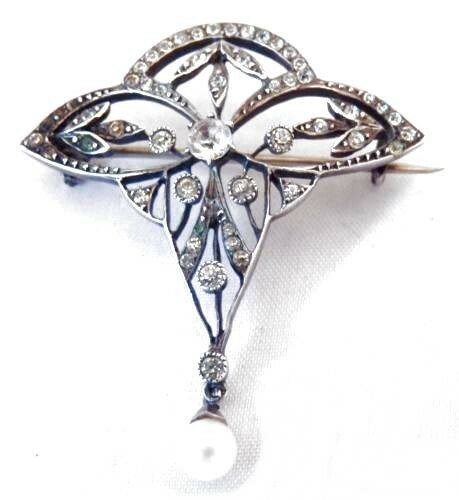 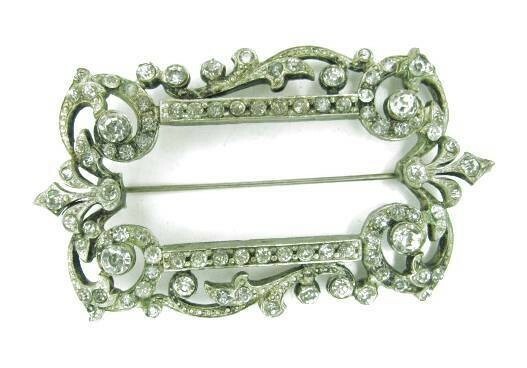 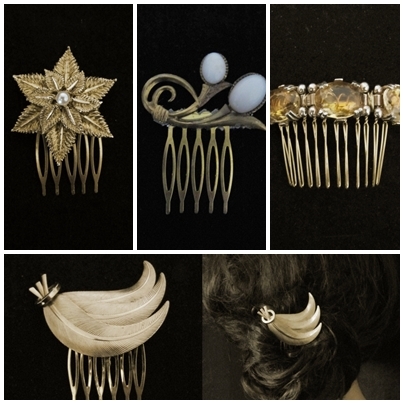 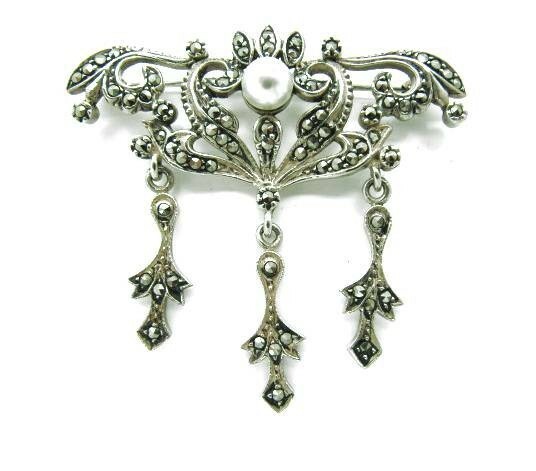 Finally, what better way to complete your look than by adding a fabulous vintage or antique brooch?